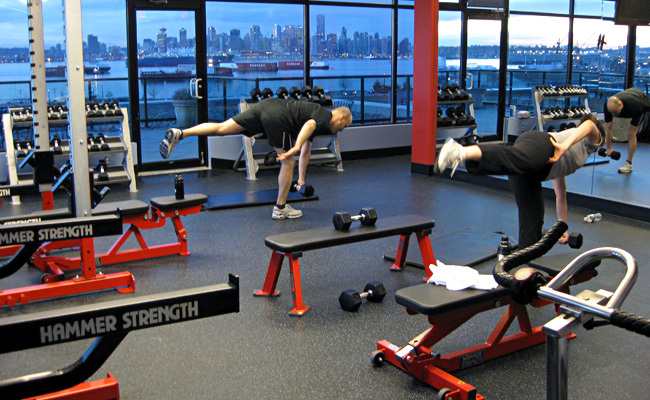 Aside from using the many outdoor fields, parks, and trails the North Shore has to offer, Powerline Athletics currently trains out of the B-Fit personal training studio in North Vancouver. B-Fit is located at #103-38 Fell Avenue just across the street from the North Shore Auto Mall. The main gym houses 2000 sq. feet with an outdoor training patio. It is equipped with full shower facilities, Hammer Strength equipment, Life Fitness universal, lots of dumbells and Keiser spin bikes. Upstairs there is an additional 800 sq. ft. private studio with a beautiful view of the harbour and Vancouver skyline. It is equipped with two Hammer Strength power racks, plio boxes, two dumbell racks, and spin bikes. Brad May, a Powerline client and 13 year NHL vetreran, hoists the Stanley Cup with the Anaheim Ducks in 2007.